1 pattern for the Guild of Vergers Kneeler, pencil outline design on squared tracing paper. 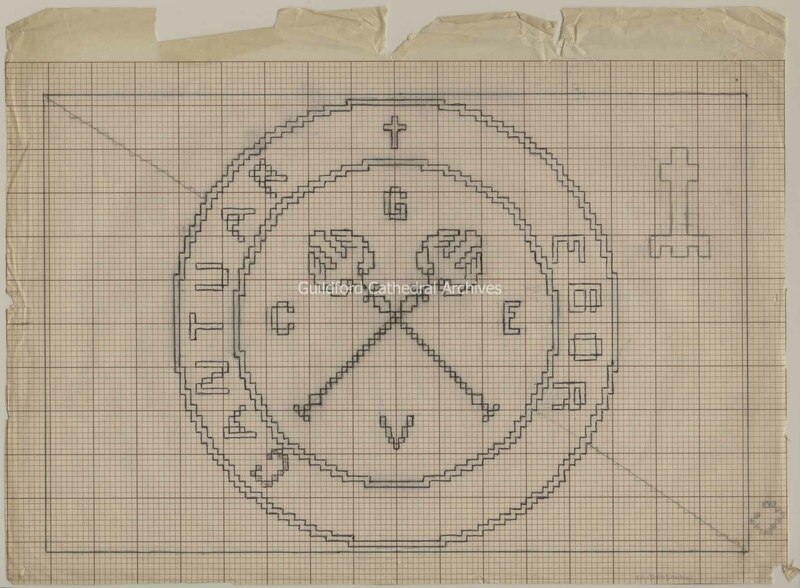 The design shows a circle with two crossed virges surrounded by the initials CEGV. Around the circle is the latin phrase “Cantuar Ebor”.